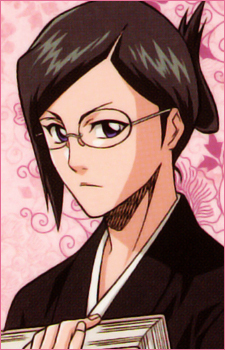 Nanao Ise is a character in the manga and anime series Bleach. She is the lieutenant of the 8th Division of the Gotei 13, under Captain Shunsui Kyoraku, and vice-president of the Shinigami Women's Association. Nanao is very studious and does most of her captains paperwork/other boring duties while he naps and drinks sake. Their relationship is very good, all things considered. As of yet, it is unknown how far she has progressed with her zanpaktou, but Nanao has admitted that she isn't very good at swordplay. However, she is a master at kido (Demon Arts).